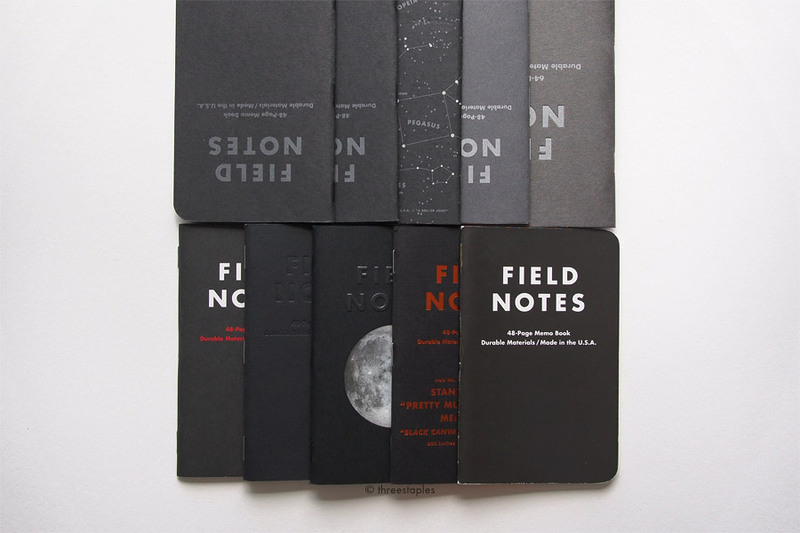 The 2014 fall edition of Field Notes COLORS is called Unexposed, and here they are EXPOSED! Should I be providing a spoiler alert here? …Nah. When Unexposed was first announced in early September, all we saw was a single image of a 3-pack wrapped in black. Mysterious! Turns out, that was the intention, to keep the content veiled until you open it yourself. The only information that was provided was that there were 6 different memo books available and that each 3-pack would have 3 random, different books among those 6. That would be a total of 20 different combinations. The suspense was exciting for me, and I tried to not browse any tags on Twitter and Instagram, until my own subscription mail arrived. I was glad that lucky folks who got their copies first were considerate enough and only posted pictures of their unopened packs. I was pretty successful in avoiding any spoilers, until I saw this tweet. 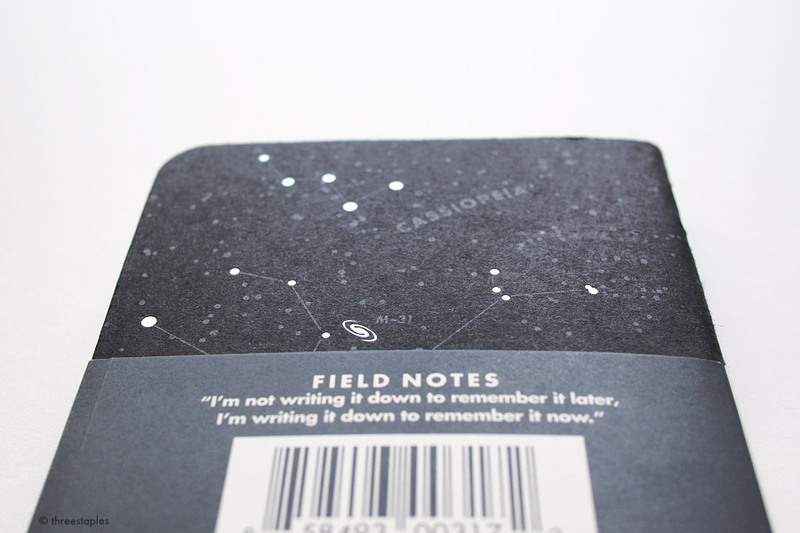 Why did you retweet it so early, Field Notes, why? Obviously, I didn’t try hard enough. My eyes, my eyes! They hurt! Thank goodness, they’re back to the original size. Darn, I’m missing one color. But not bad! 5 out of 6 colors! Whoa, they did pink! I thought I’d never see it in COLORS. Uh, there’s a registered trademark symbol on the covers now. I want to cut out belly bands out of the black sleeves. Just because. Staples are better positioned in this edition. Colors for background and text are reversed inside each book. Blue book has blue text on pink background. Do not attempt to read the text. 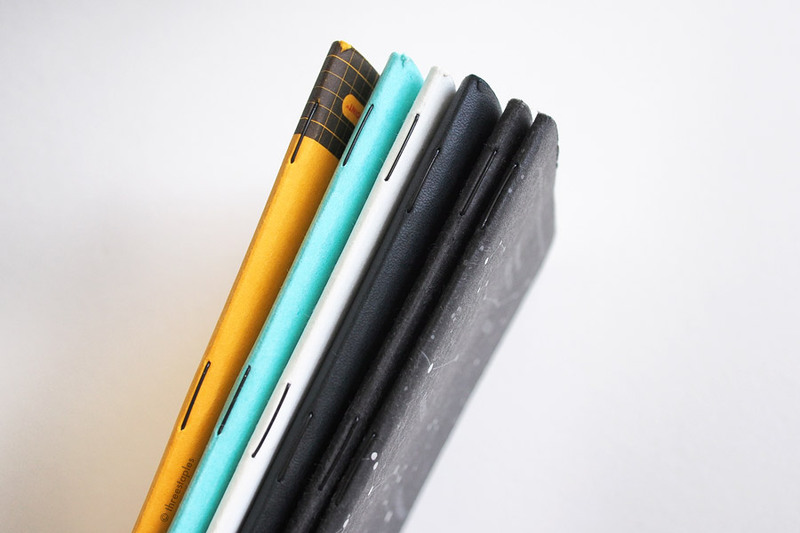 My eyes find these front three to be the worst offenders, the leftmost one (green book with orange inside) being the most painful, then the orange book (blue inside) and then the blue book (pink inside). Again, do not attempt to read these. Just don’t. From top: inside of pink, yellow, purple, green, orange and blue books. Soft-touch coating is slightly less “rubbery” than Drink Local, in my opinion. 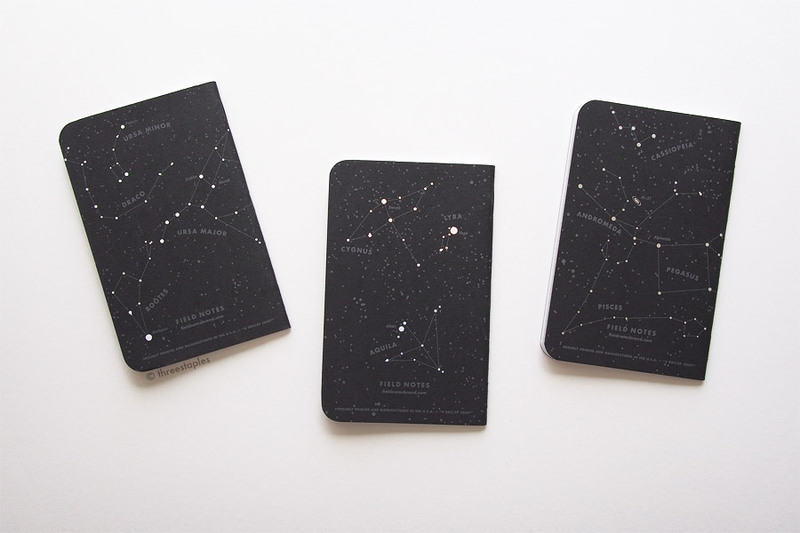 Unexposed is not the first edition to feature 6 different colors. National Crop (Spring 2012) and Drink Local (Fall 2013) are very notable earlier examples. Drink Local also beats Unexposed in getting the soft-touch coating. And Unexposed is not the first to feature reticle graph grid; we saw it previously on Night Sky (summer 2013). Additionally, this is the second time COLORS is printed by eDOC Communications, after Arts & Sciences (Summer 2014). What’s interesting about Unexposed is that this is the first time in COLORS history where the colors were kept secret AND each pack is a random set of colors. I don’t know how I feel about that. It took me 3 packs to get all 6 colors. If I were to look at it glass half empty, the uniqueness of the edition was focused a bit much on the marketing aspect. The word gimmicky comes to mind. BUT! If I were to look at it glass half full, this edition is awesome because you get 6 new colors in one release. 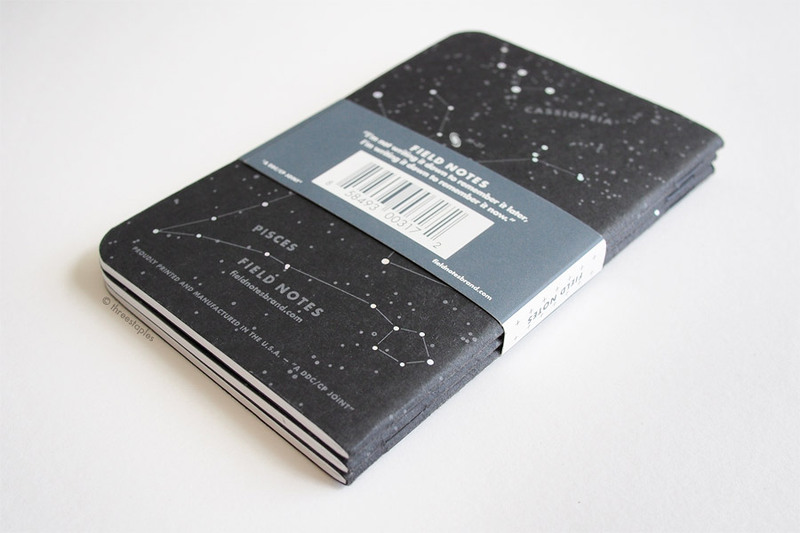 To quote the “Anonymous” Field Notes Enthusiast: Holy ████ !! The anticipation before the reveal, the shock of the colors and the random factor... it was all exciting but the novelty of it doesn’t last very long, unless you really love neon colors. I like them *shrug* (see how it ranks in my book). But I also don’t like soft-touch covers very much. I’m hoping the coating doesn’t turn into weird colors like it did in Drink Local. And I’m not going to get into the whole collectibility of this edition. There are many kinds of collectors, and thinking makes my head hurt, which it already is from these neon colors. Moving on. 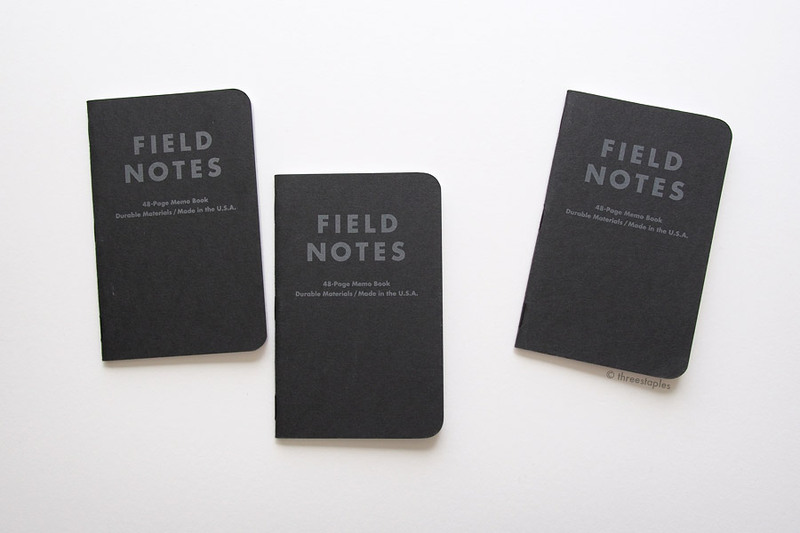 Other noteworthy “firsts” in the COLORS series: the black paper sleeve, the ® mark, and the inks. Did you see the pattern inside the black sleeve? Isn’t that sick? I want it as a wallpaper. Like, real wallpaper around my humble Field Notes shrine. And the ® mark on the cover? It is hard to miss. Quick search at US Patent and Trademark Office (not linking it. I’ve had to deal with this site a few times before. One of the worst sites EVER) leads me to believe that they finally got it registered this year, and I understand why it’s added. Visually, it’s going to take some time for me to get used to. You can spot it on the inside and outside cover on the back, too. So tiny! Don’t strain your eyes! This is the first time in COLORS that we’re seeing Sappi McCoy paper for the covers and Saphira inks, which are used on both the covers and the innards. You might call me a party pooper or a cynic but I do appreciate Field Notes trying new things. Like new printers, new papers, new inks. New fluorescent inks. How the heck do you even make these. 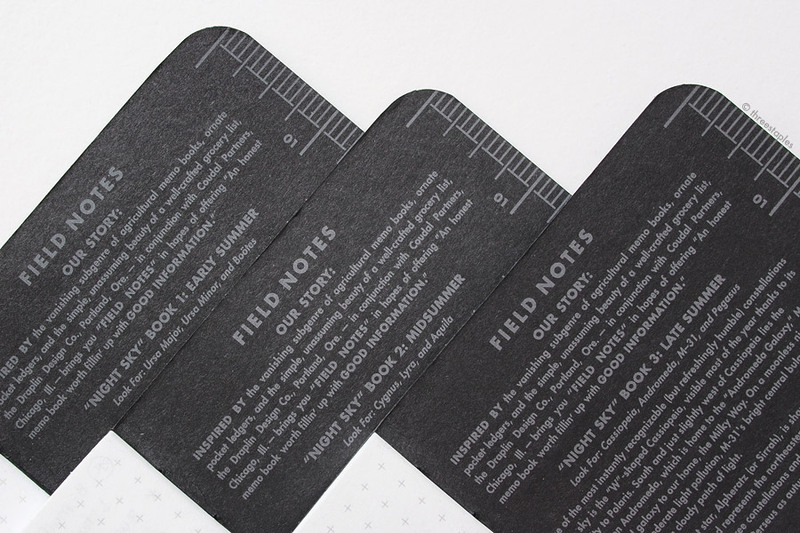 No doubt Unexposed is a fun and special edition, not to be missed by any Field Notes fan. The original size format is back and with the soft-touch coating, it's even more portable. It might even be an awesome conversation starter. But if my house was burning down and I had a split second to grab a pack of FN, Unexposed would not be my first choice. Except, maybe it might be the only one I can spot? Hey, what’s that ® thing doing there? Reticle graph comparison: Unexposed (top) is slightly lighter gray than Night Sky (bottom). Unexposed (Fall 2014) is the 24th in the COLORS series. 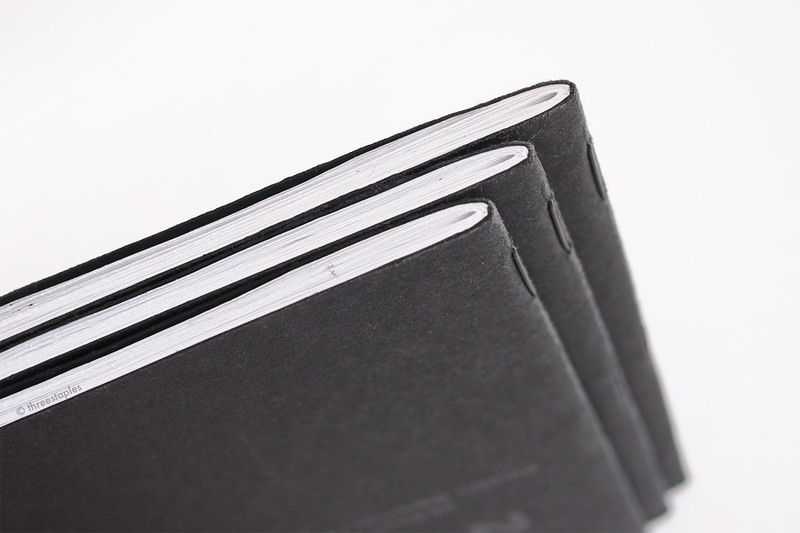 Edition size: 60,000 books printed in August 2014. Does that mean 10,000 per color? Belly band: none. 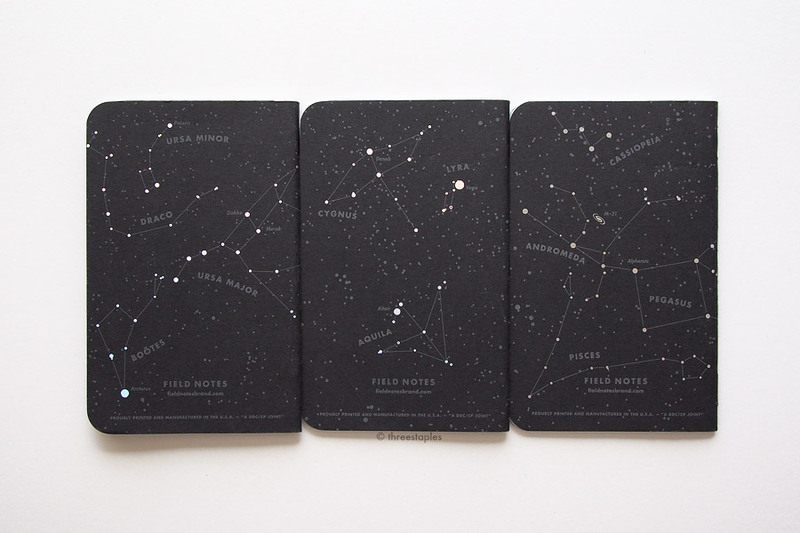 Black paper sleeve instead. Which out of 6 colors is your favorite? It’s a toss-up between the pink and the purple one for me. Quick green comparison. From left: Balsam Fir, Day Game, Grass Stain Green, Soybeans from National Crop, neon green from Summer Camp. Unexposed’s green is more neon than Summer Camp’s green!